The 12th UIC ERTMS World Conference 2016 will take place from 29 February to 2 March in Brussels, Belgium. The conference is hosted by the International Union of Railways (UIC) and INFRABEL, the Belgian Rail infrastructure manager. The event is devoted to ERTMS, as well as ETCS and GSM-R for radio communications, and its promotion as in international standard signalling system. The plenary sessions will feature speeches from the executive directors and CEOs of the UIC, the ERA, UNIFE, CER and INFRABEL, among others. Topics covered will include ETCS requirements, security and cyber-security, testing, and the various challenges posed by switching over to ERTMS systems. 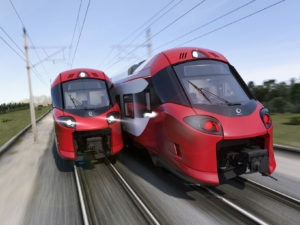 Speakers will come from Belgium, Italy, Britain, Germany and Austria, as well as Turkey and China, and include a range of business leaders, academics, researchers and policy makers, all meeting to discuss the potential of ERTMS to transform the international rail industry. 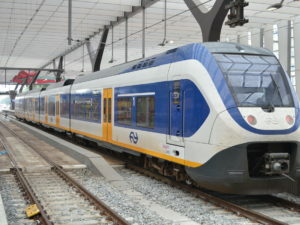 INFRABEL offers two technical visits, the first to Anvers central station and the second to Liège Central Station, with trips on a train to and from the stations. Both will visit the Train World Museum and give a cocktail reception in the evening.